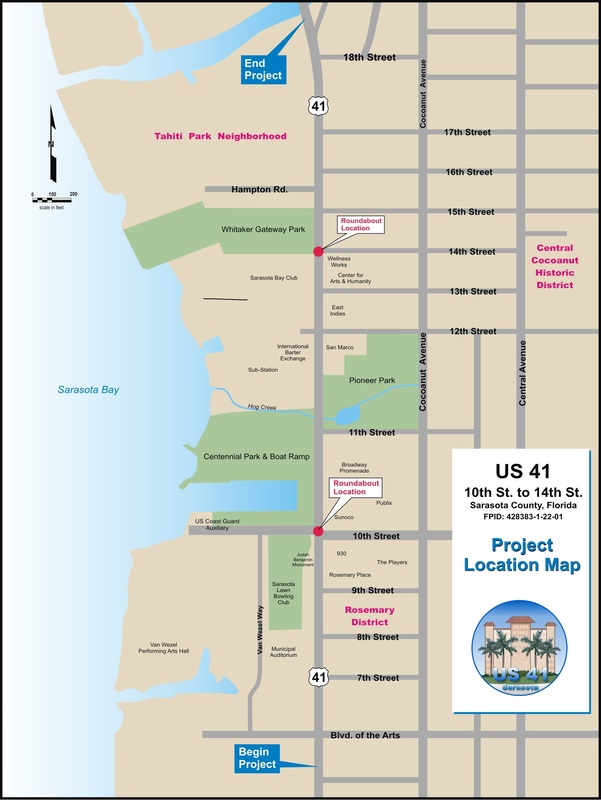 These VISSIM simulations above were created for the US 41 PD&E Study and are a general representation of the expected traffic conditions in the year 2021 for the US 41 corridor between 10th and 14th Street in Sarasota, FL. Focus on boater ingress/egress at Centennial Park boat launch in the video and the images below. Should be work fine for 18wheelers and truck&boat trailers 77 feet long.